Has anyone thought about reconstituting an ATSF GP with a short-end high-hood and cab off of an engine headed for scrap? A few of these engines are still working on shortlines and tourist railroads, but it would nice to see a couple of zebra-striped geeps again. Over 1/3rd of all WP GP7s and WP GP9s are preserved. ATSF diesels appear to be under represented in the preservation world, especially because of the innovative/tragic development of the CF7. sigh. OH WELL PRODUCTIONS / HORNS INC.
South Branch Valley/Potomac Eagle is home to 2 B&O geeps, 6604, and "That 70's Engine", 6240. So I guess the BIG question now is, does the IRM Board still plan on "parting out" the 4160? 4160 was brought onto the property with the understanding that it would leave within 2 years of its arrival. 1: Someone successfully convinces the board to keep 4160, and guarantees that the "track space" charges for it will be paid. 2: 4160 is traded off, leased out or sold intact. 3: as originally planned, 4160 is parted out (providing needed parts for 3 or 4 other locomotives), and the remaining hulk is scrapped. In any of these cases, the engine work already done will not go to waste. Well, I would hate to see option number 3 happen Jeff. Ex RDG GP7 #621 (Currently MPA 1506) has been preserved by the RCT&HS. Plans are to eventually return the unit to service after proper facilities are at hand to work on the unit. Is that BR&W unit ex-NYC ? Metro-North had a nice, cherry ex NYC GP-9 (with intact Vapor boiler)that somebody decided to gob up. Former Norfolk and Western GP9 #620 is alive and well at the North Carolina Transportation Museum in Spencer, NC. ex-Georgia Railroad GP7 1026 is at the Southeastern Railway Museum. It is in GARR colors, but we have yet to apply lettering and heralds. This will hopefully occur either this fall or sometime next spring. The locomotive is operational, but is mainly a display piece. The Stone Mountain Scenic has GP7 5896 (ex-C&O), and GP9 2184 (also C&O). The 2184 is the mainstay on the SMSRR, the 5896 is not in bad shape but was the victim of an electrical fire and is currently out of service. I'm not sure if this goes here but they also have GP10 # 701 which was Illinois Central GP9 #9307 before it was rebuilt. 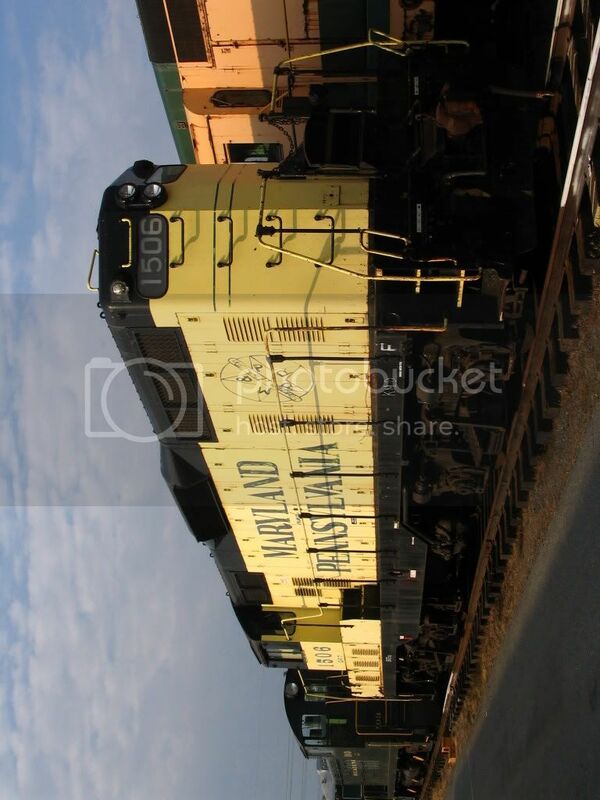 we should keep doing threads like this for other locomotives i enjoy looking at them. Tennessee Valley Railroad Museum has ex-United States Army Transportation Corps GP-7Ls Nos. 1824, 1829 and 1832. 1829 and 1824 have been restored to operating condition and 1832 is stored. The 1829 and 1824 have been repainted in TVRM's corporate colors of black, tuscan red and maroon. All three locomotives ride on their original switcher trucks. Another GP-7 owned by TVRM is GP-7L No. 710-built originally as Nashville, Chattanooga and St. Louis Railway No. 710. It was later transferred to Amtrak and used in maintenance and switching services. TVRM has restored the 710 to its original appearance and bases that locomotive out of Etowah, Tennessee. Only two customers bought GP-7Ls: the United States Army Transportation Corps and the Nashville, Chattanooga and St. Louis Railway. The Museum of Transportation in St. Louis has Conrail, ex-CNJ #5677, a dual control GP-7 built in 1952 and used in commuter service. 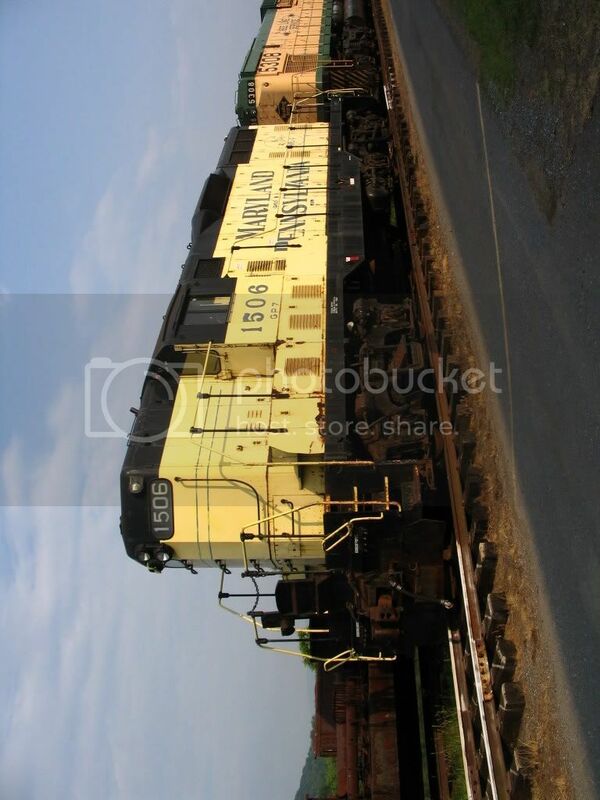 GGRM's GP9 SP 3194 is also on property but is not considered as being in their collection. It has been a year since they put it up for sale but nothing has happened as far as I know. And how many are still in daily operation on CP? I think their days are numbered, but even now they still end up sandwiched between AC4400s, looking odd, but still doing what they were designed to do.